Indoor positioning advances through a demand for service, experience and convenience. On the playing ground your kids experience everything from LEGO trains to puzzles and interactive movies. The common ground is where are you and where are your devices - in real time. GamesOnTrack has seen this development for a long time. We have prepared ourselves with technologies to help you benefit and experience. 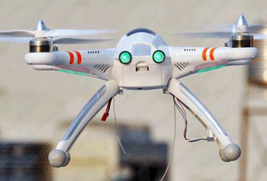 Our main goal is to provide the precision, we will let you know excatly where you are, or where your hand is, , or where your moving devices or vehicles or drones are in a 3D environment in real time. It might be an overkill to-day, but not in the future. We take care of giving you a real position for your device, X,Y,Z in relation to any corner or zero point you want to define. 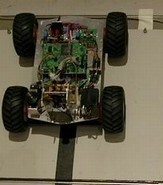 The technology is a combination of slowly moving sound and fast moving radio signals, in general terms the difference. But since this has been used for long time without that much success it has been improved with technologies for handling non-visible objects. fast moving devices, long range measures, etc. We have developed beacons for many different purposes, for low energy consumption, for click and play, for games and playing your favorite model train as well as your robot and your wheel chair with people who we care for. It sounds easy - it is not. You think about common mathemathics , the GPS position formula, the standard sound moving speeds etc. Yor are right but the Devil is in the physics. You think your iPhone might find a beacon and the distance to it - here you go based on a degradation of the field energy as a consequence of distance. However it wil not give you any precision and it is not stable, all research until now has shown ultrasound as the main measure with all the challenges it also provides. We have spent 7 years digging that out and develop the compensations. That's why we have the precision to-day. We know if a person is falling out of the wheel chair or we know if your LEGO train is hitting a red signal so we can stop it. Let us know your problem, we might find a good solution for you. Let's look at the most popular systems people use. They are the ones they learn quickly. And they are the only ones with global adoption. A bit of complexity can be added over years if it is smart to use and get a lot of value. But if not intuitive for the user, we can forget it. Software and electronic developers have added functionality in big amounts to everything from washing machines to televisions. We probably only use a minor subset if we use it at all. My video tape recorder died in complexity. I simply gave up to learn and remember the steps forward and the menu. Business systems have the exact same problem. They are meant for professional people but as the demand for integrated business increases so does the demand for more people to use the systems - and they fall short. People cannot adobt to yet another concept, yet another philosophy. If it does not work like my regular computer interface, like my Excel, like my browser, like my card game, or my car, then I am not adopting. I can be forced to learn - but thereby the adoption becomes slow. Games on computers have given a lot of people a lot of functionality through an internal simplicity which might seem strange in the beginning but which gets useful after all. Blizzard made WOW, 8-9 mio people use that every day. It is not structured the way grown up people would assume, and it does nok look like any business application. Kids learn it easily. It is robust like the cell phone. Few standard concepts all over and you are on. Intuitively you know how to operate the next sequence. Click the picture, See the short note or menu, and you know what to do. 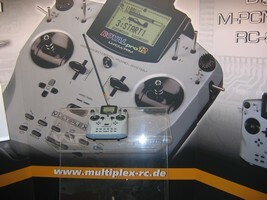 At the Nurnberg Messe in 2008 the handheld devices for operating cars, helicopters, tanks and model trains were beyond any imagination in complexity. In 3 years they are out. They will be for few enthusiasts only who cannot get enough buttons. All of us will resume to our cell phones and Wii's. Simplicity is a must, otherwise it will not be adopted.